Microsoft has apparently finally sealed a deal with long-term rival Yahoo, with the two reportedly coming to accord over a unified approach to search and advertising. 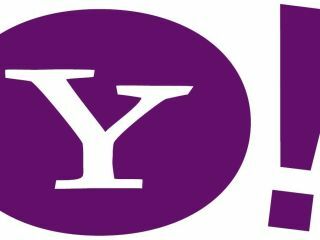 Microsoft has been chasing a deal with Yahoo on search since a blockbusting bid to buy the company was rejected, and this collaboration will apparently see no up-front fee being paid by the former. The two companies will now split revenue generated from search ads on web sites that they run, with Yahoo likely to handle ad sales and customer service and Microsoft providing the actual search engine and the advertising technology. That would, of course, lead the fairly intriguing proposition of seeing Yahoo's longstanding search engine branded up as Bing or, more likely, 'powered by Bing'. The deal comes well over a year after Yahoo's co-founder and then CEO Jerry Yang rebuffed a huge $47.5 billion (c£29bn) bid for the company from Microsoft, earning the wrath of many of the company's shareholders. Microsoft then switched its attention to Yahoo's search – which is the second biggest worldwide with eight per cent (compared to Google's 67 per cent share of global market). A brief collaboration between Yahoo and Google was ended by the attention of the Competition Commission. Bing has made a good start since the relaunched search engine from Microsoft launched last month, although it remains in beta in the UK. If Microsoft can keep Yahoo's figures in addition to its own, then it could finally provide a genuine competitor to Google in the search market.